Okay, since we were on yong tau foo, fish ball noodles and the gang, today let’s see some wantan mee for a change. And given the fact that KL’s populated by floggers (food bloggers, not the ones in prison), bloggers, vloggers (video bloggers? ), and logheads (hehe, everywhere also got …), getting a breakfast-brunch-lunch-dinner-etc partner ain’t exactly hard. Nor rocket science. Just ask, and guaranteed someone somewhere will have an idea on where to eat, what’s new and chic, as well as what NOT to eat. Plain Jane of So Bland? Not really. For sometimes, the simplest works best. 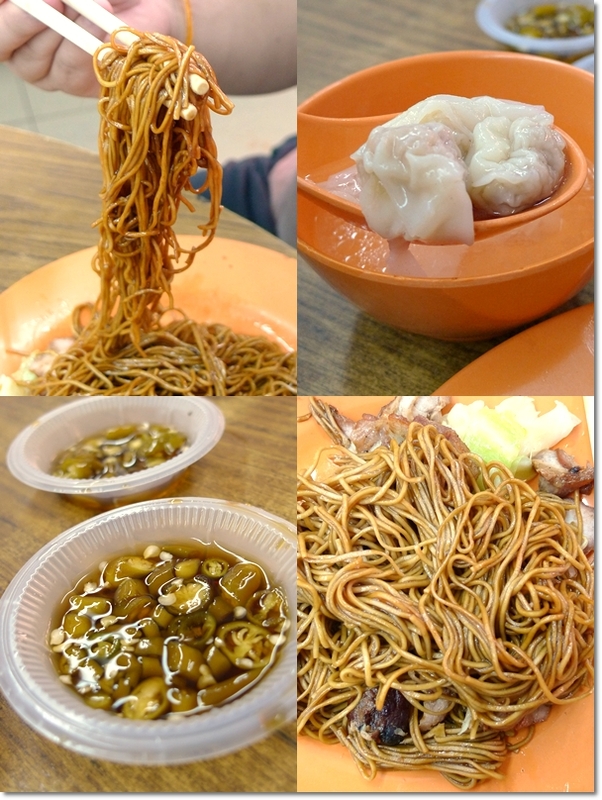 Trust Koon Kee Wantan Mee to bring back the flavours of the yesteryear’s …. Bloodied (actually basked and caramelized, don’t puke) Char Siew on the racks, and the poached chicken (pak cham kai) supposed to be good, even better than the Char Siew. Or that’s what Ken said. Navigating around Uptown’s fun when it’s the weekends. But try to come on a weekday, during peak hours (lunch time) and you’ll be cursing from the very depths of your hidden vocabulary. That’s what Jason said. Haha … I tend to believe the KL-ites, for I’m not attempting suicide or shortening my innocent, naive life by trying out disastrous options. 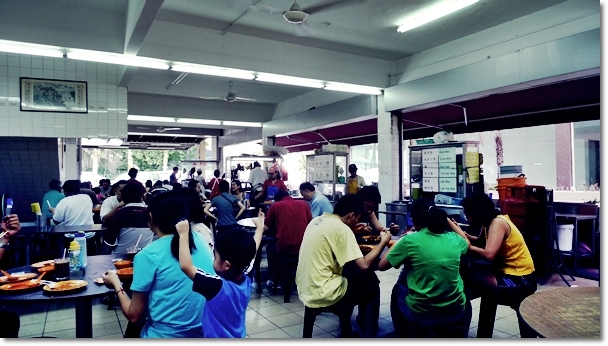 Just that try not to join the maddening crowd at Village Park Nasi Lemak, and you’re good to go. At least you can have your breakfast at breakfast hours, and not standing around until lunch for a plate of nasi lemak with ‘attitude’ (hehe) …..
And I slurped up every single strand on my plate. Proportionately tossed with the right combination of soy sauce, a dash or two of sesame oil and minimal dark soy sauce, the springy egg noodles at Koon Kee is seemingly made in-house, from a production line next to the restaurant. You either choose to have your noodles with Char Siew, plain or with their poached chicken. Then you get a small bowl of wantan (dumplings filled with flavourful minced pork) the size of a 20 cents coin, and surprisingly a handful of cabbage served with the noodles. Yes. Kobis. Cabbage. “Pau Choy”. Usually we get ‘sawi’ or mustard greens, but at Koon Kee they are trying to one-up the competition. Or could be they ran out of the other greens? Who knows? But crunchy cabbage worked for me too ….. Crowded during brunch hours. Try to come slightly later than the crowd, or earlier. But would you want to wake up like normal working days on a weekend? 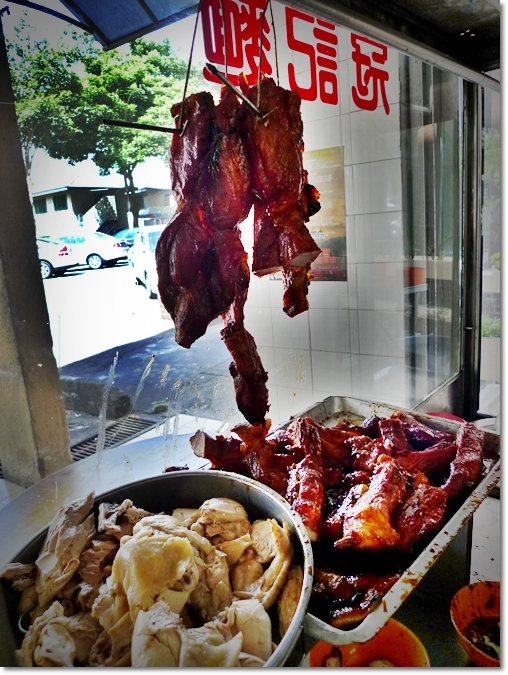 The Char Siew came in very lean cuts; with an unmistakably smoky, aromatic charred aroma. Roasted in-house indefinitely, just that the barbecued pork did not register on my mind long after the meal. 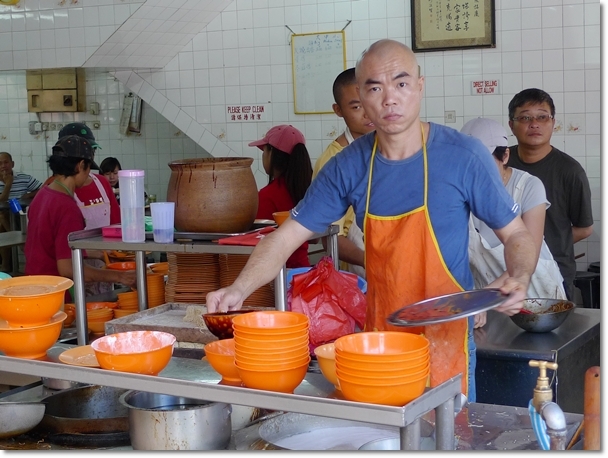 Still nothing comes close to Lenggong’s Loh Dee Wan Ton Mee …. sigh. Those Good Old Days …. 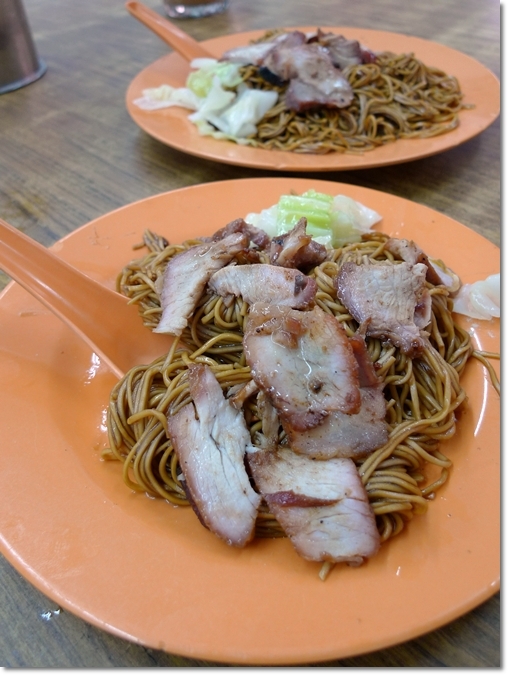 Koon Kee Wantan Mee – Same row with Village Park Nasi Lemak. Okay …. now if you had realized, my reviews are getting shorter and shorter. Now I know why most people had claimed that I wrote waaaaayyyy too long back then in Ipoh. That’s because I was blessed with the gift of the gab honour of having all the time in the world; in the office and at home after work. But here in KL, time’s a luxury. I’d better get back in shape, get my life back in one piece, and find myself somewhere in the midst. Last thing I want is for Motormouth From Ipoh to disintegrate into oblivion! 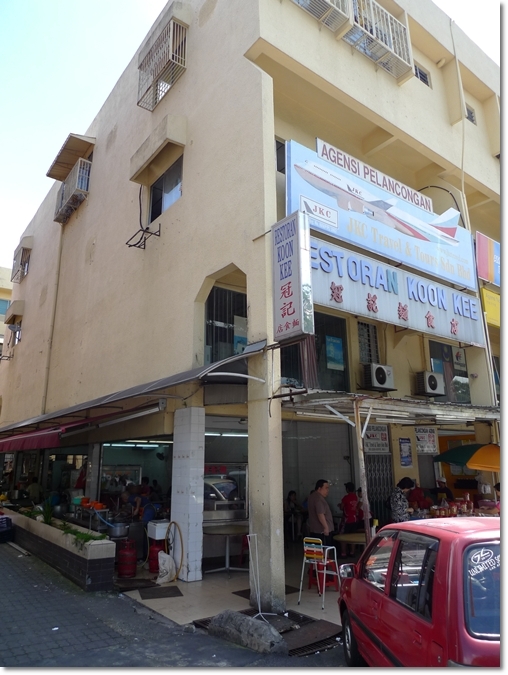 You can also order chicken rice, and there’s a vegetarian rice stall in the restaurant. A corner lot further down the same road with Village Park Nasi Lemak and Sate Kajang Haji Samuri. Haha … I highly doubt he can even remember my face. And don’t hang on to any of my phrases. They’re just there for the sake of filling up the void. Anyways, its always a reliable choice! But then again, I am sure there are better ones out there …. the Char Siew at Koon Kee was not the best that I have come across. a kopishop in thee middle section serve a tasty wantan mee without worrying parking woe..
there’s this coffee shop selling noodles and rice with roast pork, bbq pork and chicken near Vistana Hotel or the Titiwangsa bus stop. the shop is facing the main road. it’s at jalan ipoh but jalan ipoh is so long and i don’t know the exact address to tell u and i forgot the shop name. 🙁 it’s quite famous for bbq pork so i heard. it’s quite nice but portion is quite small.